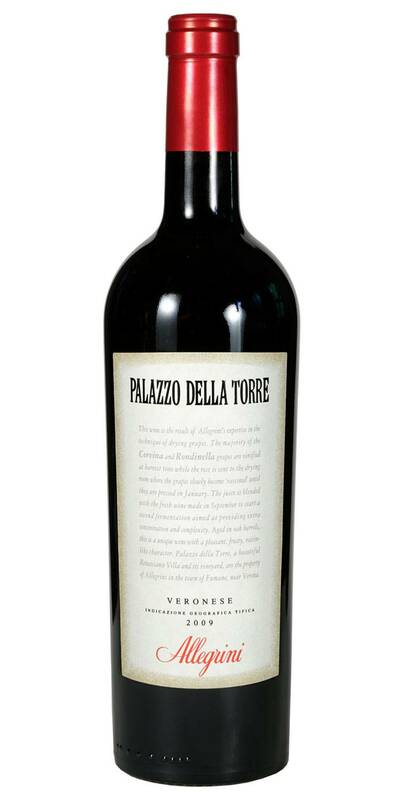 Allegrini Palazzo Della Torre is a blend of 70% Corvina Veronese, 25% Rondinella and 5% Sangiovese. Allegrini Palazzo Della Torre is a smooth, full-bodied red made in an innovative ripasso style. 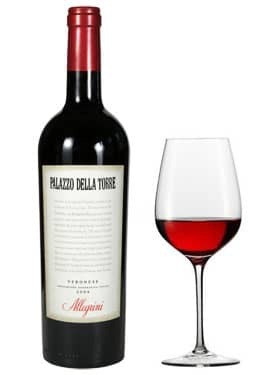 Dense and deep ruby red in color, Allegrini Palazzo Della Torre is loaded with luscious aromas of currant, blackberry and licorice, followed by hints of raisins and plums. Full-bodied and rich, with firm yet juicy tannins. A classic accompaniment to grilled or roasted meats and barbecued ribs.